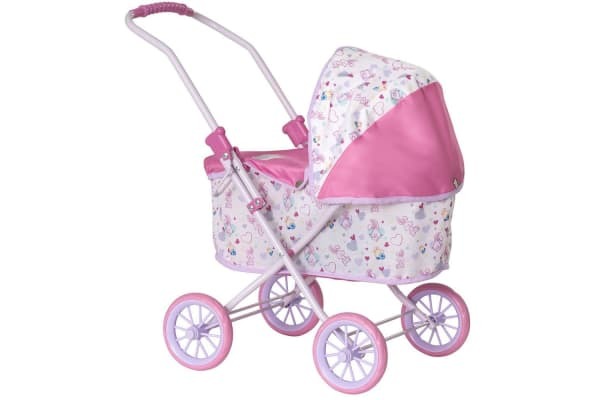 Baby Born Doll My First Pram for those long days out and about. The Genuine Baby Born Doll My First Pram is designed for the active Doll Mummy who is looking for a comfortable and safe pram for their Baby Born. 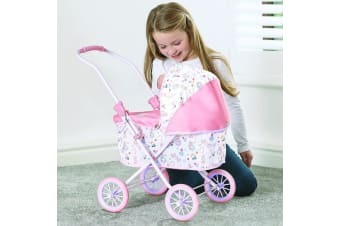 The Buggy type design has a colourful canopy and apron to protect Baby Born from the elements and enough room for storing all your Baby Born essentials. Being a My First Pram this pram has a handle that is 55cm high, perfect for younger children. Includes sun canopy and pram cover to keep your doll safe and secure. 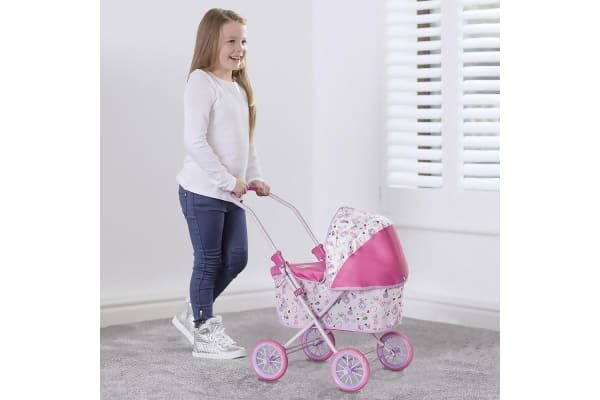 Your Baby Born parent will love the Baby Born Doll My First Pram with its versatility and accessories making it perfect for a day out playing and having fun.